One thing that I really love about the holidays is being able to host & entertain. I love to invite over a small group of family & friends for a little cookie baking party or maybe for hot cocoa & to watch Christmas movies. I always seem to host at least one cocktail or wine party before the start of the New Year. 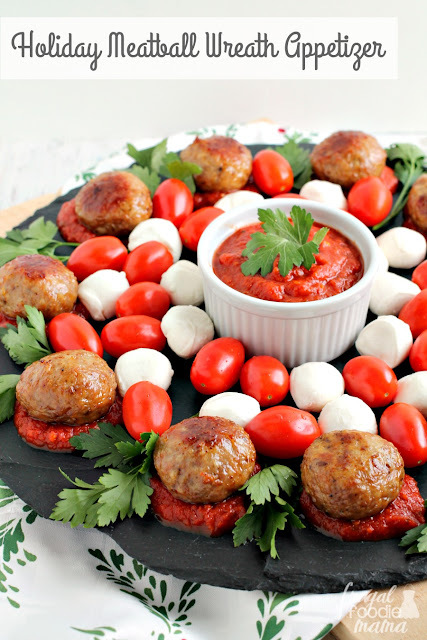 The ingredients for this impressive, Italian inspired Holiday Meatball Wreath Appetizer are so simple- your favorite Carando meatballs from Food Lion, pasta sauce, cherry tomatoes, mini mozzarella balls, & fresh parsley or basil. That's it, folks! 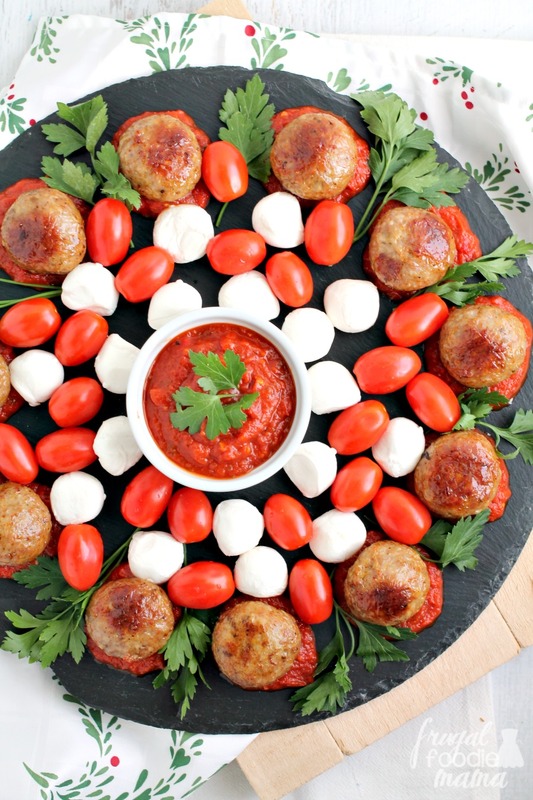 Once the meatballs are cooked through, you can have this meatball wreath assembled & out for holiday guests to munch on in just 15 minutes. 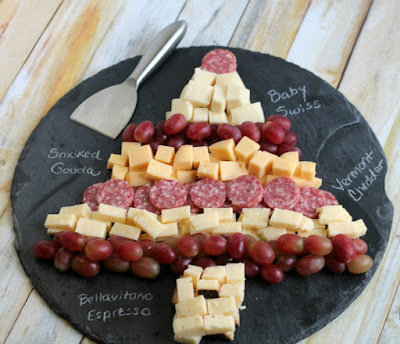 Quick, easy, festive, & crowd-pleasing! 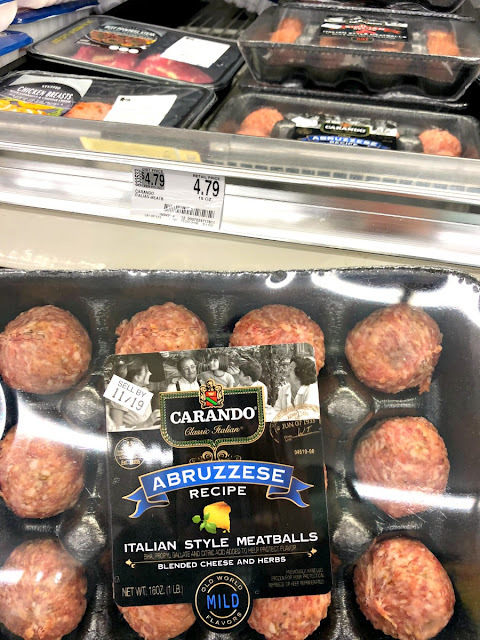 I used the Carando Abruzzese Italian Meatballs in this, but feel free to try Carando's other meatball varieties like their Mozzarella Rustica or their Sicilian varieties instead. To make this appetizer even quicker & easier to assemble, skip heating the pasta sauce. 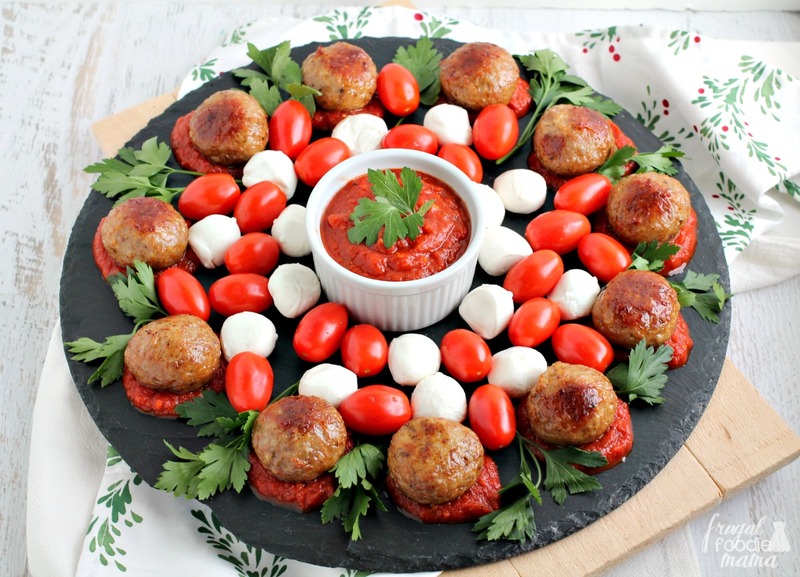 I used plain mini mozzarella balls in my wreath appetizer, but try swapping in marinated ones for a little extra zing. 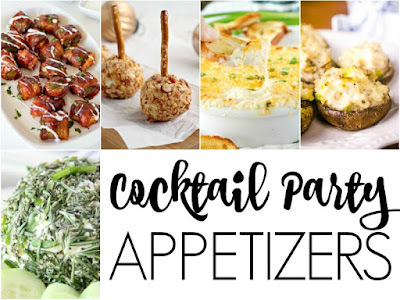 To make it easier for your party guests to help themselves, serve this platter with festive party picks instead of plates & forks to turn this into a fun & tasty finger food. Prepare the meatballs according to the package directions. Once cooked thoroughly & browned, set aside & keep warm. Heat the pasta sauce according to the directions on the jar, if desired. On a large round platter, spoon out 12 generous tablespoon-sized dollops of the pasta sauce around the outside of the platter. Place a meatball in the center of each pasta sauce dollop. 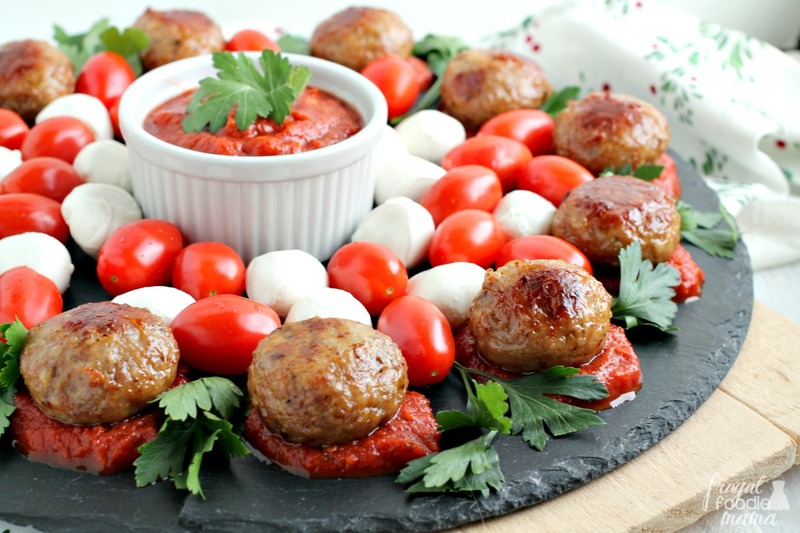 Place a sprig of parsley or basil in between each meatball. Arrange the cherry tomatoes & mozzarella balls in a pretty pattern inside the ring of meatballs leaving room for a small serving dish of extra pasta sauce in the middle. 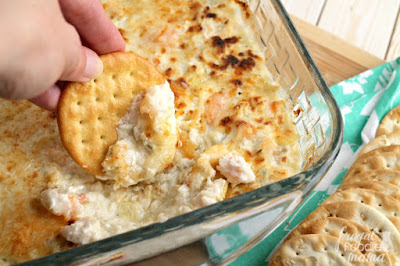 Serve immediately with party picks, if desired. 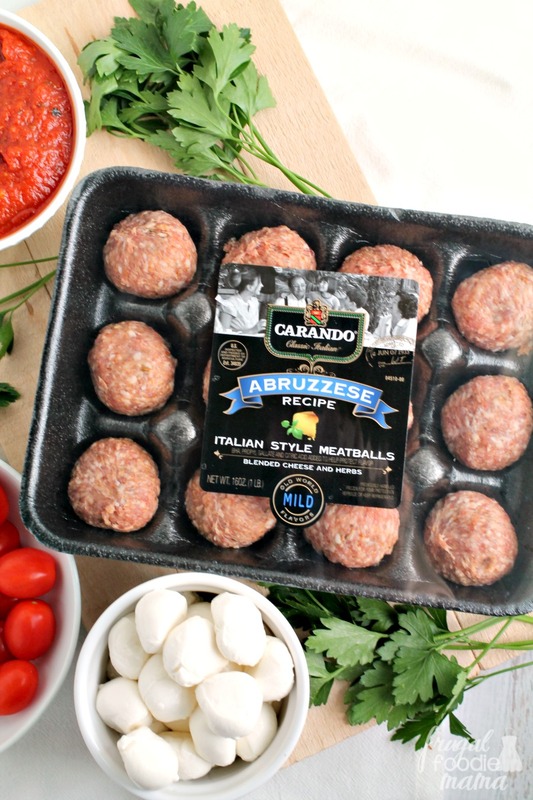 How will you incorporate Carando meatballs into your holiday entertaining plans this season?